Sofa - LIVING AND CO.
Broste Copenhagen Air bank. The beautiful Air sofa from the contemporary collection of Broste Copenhagen is very comfortable. The sofa is upholstered with gray fabric and has wooden legs. Comes with two pillows. Broste Copenhagen Wind bank. The beautiful Wind sofa from the contemporary collection of Broste Copenhagen is very comfortable. 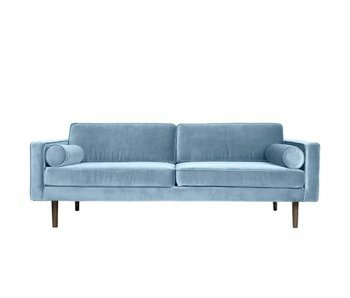 The sofa is upholstered with a pastel blue velvet fabric and has wooden legs. Comes with two pillows. 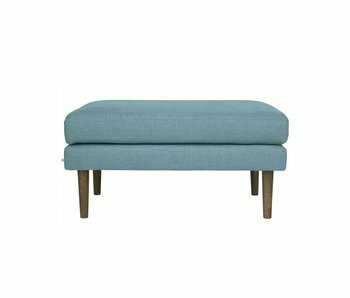 Broste Copenhagen Lake ottoman module. This beautiful Lake pouf from the contemporary collection of Broste Copenhagen is very comfortable. The module is upholstered with a gray fabric that feels soft. Modules can be connected. Broste Copenhagen Lake bank module. This beautiful Lake sofa from the contemporary collection of Broste Copenhagen is very comfortable. The module is upholstered with a gray fabric that feels soft. Modules can be connected. Broste Copenhagen Lake chaise longue module. This beautiful Lake chaise longue from the contemporary collection of Broste Copenhagen is very comfortable. The module is upholstered with a light gray fabric that feels soft. Modules can be linked. Broste Copenhagen Lake bank module. This beautiful Lake sofa from the contemporary collection of Broste Copenhagen is very comfortable. The module is upholstered with a gray fabric that feels soft. Modules can be linked. Broste Copenhagen Wind chaise lounge. The beautiful Wind chaise lounge from the contemporary collection of Broste Copenhagen is very comfortable. The sofa is upholstered with green velvet fabric and fitted with wooden legs. Comes with one cushion. Broste Copenhagen Wind bank. The beautiful Wind sofa from the contemporary collection of Broste Copenhagen is very comfortable. 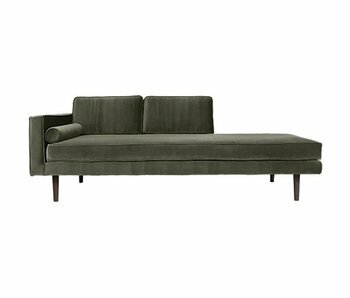 The sofa is upholstered with a dark green linen fabric and fitted with wooden legs. Comes with two pillows. Broste Copenhagen Air bench. This beautiful Air bench from the contemporary collection of Broste Copenhagen is very comfortable. The bench is upholstered with pink fabric and fitted with wooden legs. Broste Copenhagen Air bench. This beautiful Air bench from the contemporary collection of Broste Copenhagen is very comfortable. The bench is upholstered with gray fabric and has wooden legs. Broste Copenhagen Air bank. The beautiful Air sofa from the contemporary collection of Broste Copenhagen is very comfortable. The sofa is upholstered with pink fabric and fitted with wooden legs. Comes with two pillows. Broste Copenhagen Wind chaise lounge. The beautiful Wind chaise lounge from the contemporary collection of Broste Copenhagen is very comfortable. 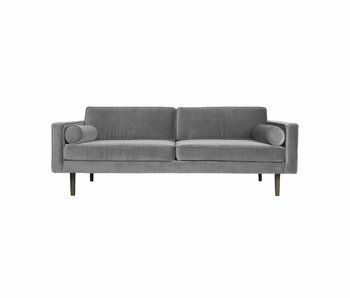 The sofa is upholstered with gray velvet fabric and fitted with wooden legs. Comes with one cushion. Broste Copenhagen Wind sofa. The beautiful Wind sofa from the contemporary collection of Broste Copenhagen is very comfortable. 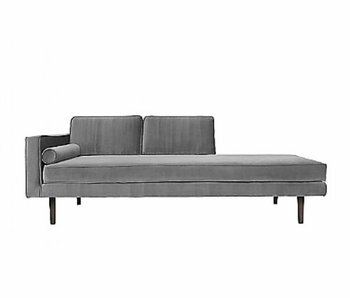 The sofa is upholstered with gray velours fabric and fitted with wooden legs. Comes with two pillows.